Denture or Partial Done in One Day While You Wait! A New Smile at a Great Price! It's our pleasure to be able to serve you at Kush Dental Same-Day dentures & extractions. 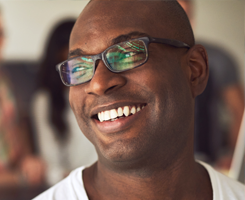 We select some of the most reputable dental professionals to provide same-day dentures and affordable dental work at a fraction of the cost, guaranteed. Our clinic offers the finest adult dental care available anywhere in a comfortable setting, Contact us to schedule an appointment today! Kush Dental Same-Day denture provides quality and low-price dentures. Kush Dental Same-Day denture, our priority is to deliver quality care to informed patients in a comfortable and convenient setting. Comfortable, Convenient Setting: We strive to make our office as efficient and convenient as possible. Included in these web pages are information about hours, insurance policies and appointment scheduling. 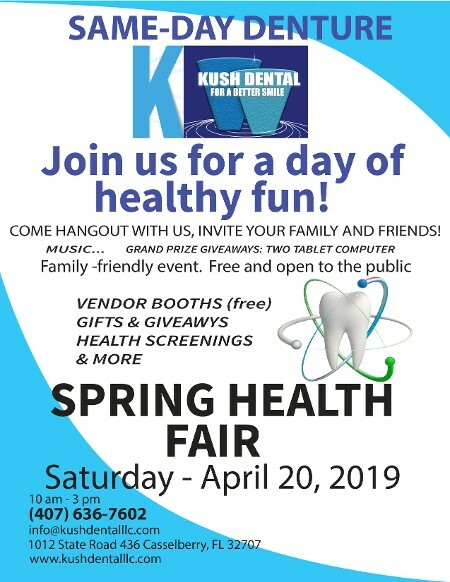 Kush Dental Same-Day denture believes that informed patients are better prepared to make decisions regarding their health and wellbeing. That is why we've included an extensive section on this web site covering the full array of topics associated with dentistry, dental diagnoses and treatments. We encourage you to look through these pages whenever you have an interest or concern about your dental needs and care. 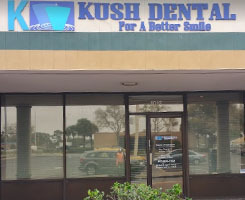 Founded in 2014, Kush Dental is dedicated to the best affordable dentistry and tooth replacement services available. Our practice houses an onsite dental laboratory that provides affordable crowns, same-day dentures, same-day repairs, and relines. Our staff includes a periodontist to treats bleeding gums, bad breath, and bone loss associated with gum disease and all other orthodontic treatment, as well as an on-staff general dentist to perform extraction if your tooth cannot be saved and wisdom tooth extractions. 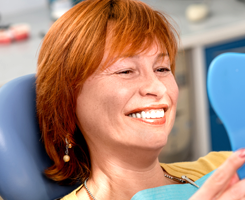 We love making our patients happy with our top-of-the-line affordable and economy dentures and dental products. We also provide the latest in cosmetic restorations using metal-free crowns, bridges, and flexible lightweight dentures. Call today for a complimentary consultation, or visit us at our dental practice in Casselberry, Florida, near the Orlando-Kissimmee-Sanford area. Be sure to tell your friends!